NEET PG Ophthalmology is a mixed medical and surgical specialty. There are many diverse ophthalmological problems, therefore, students will be judged on the factors how they diagnose, treat and prevent disorders of the eyes and visual system. The medexamsprep team gives you personal mentorship from Academicians, Medical Students, and Toppers from previous years who will give you up-to-date information about the Types of Questions asked in NEET PG Ophthalmology. 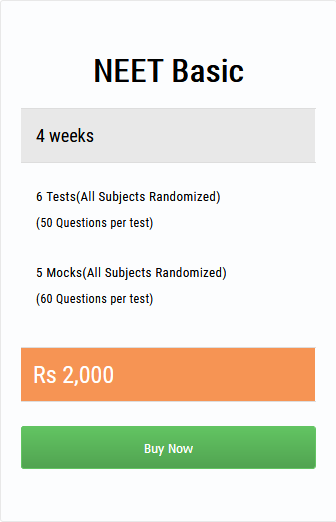 NEET PG Ophthalmology Mock Test – You have to make it what it needs to crack NEET? Assess your aptitude with our Mock Test. Previous year question papers: – solving previous year question paper will help you achieve your goal. Sample papers: – Sample papers are prepared by experts in accordance with the requirement of the exam; these papers are the best tool for preparation.